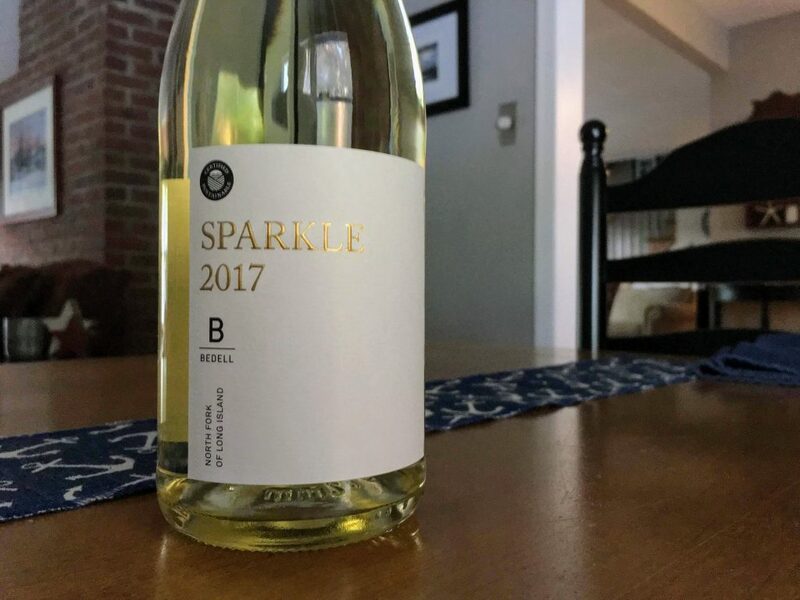 A wine that winemaker Rich Olsen-Harbich says was inspired by "fun sparklers like Alsatian cremants and Italian Proseccos but with a North Fork twist," this fun, fruity bubbly was made via forced-carbonation method. The result is bright and citrus driven, with lemon and lime front and center and more delicate notes of flowers and green apple in the background. Lighter bodied, fruit-forward and with a little sweetness, the palate shows a bit of peach along with all that citrus with plenty of fresh acidity and carbonation. The finish shows just a little saline minerality too. This isn't a complex, autolytic sparkling wine. It's not a "classic" per se, but that doesn't make it any less fun and gulp-worthy.